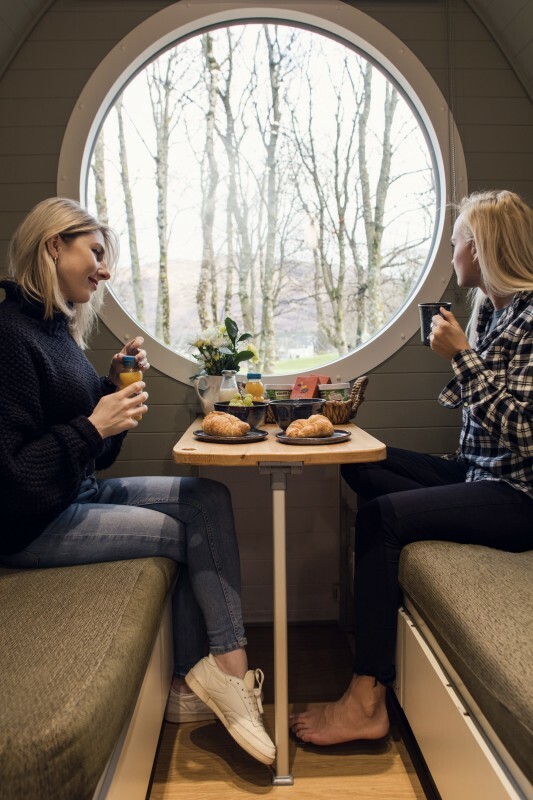 Introducing a revolution in accommodation: Your own, independent small hotel for the night! 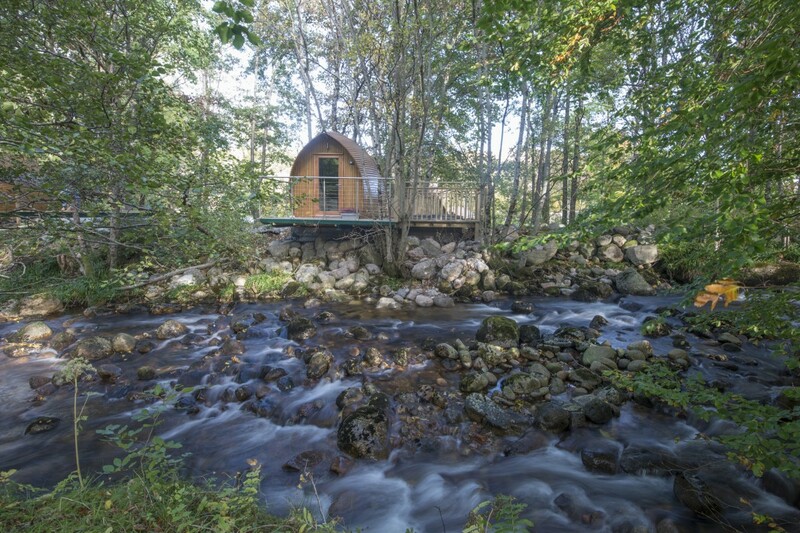 Discover RiverBeds – luxury individual rooms set in a delightful and romantic woodland glade. 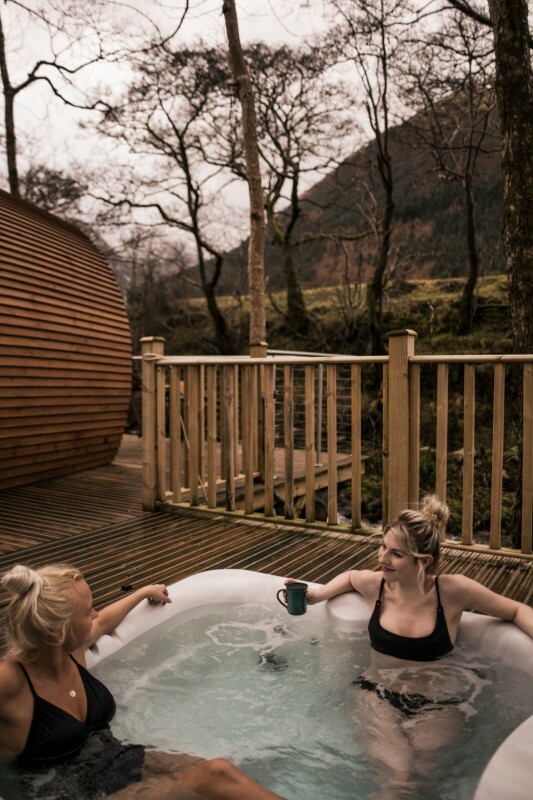 Each lodge has a private veranda reaching out over a bubbling brook and some lodges even have an outside hot tub! 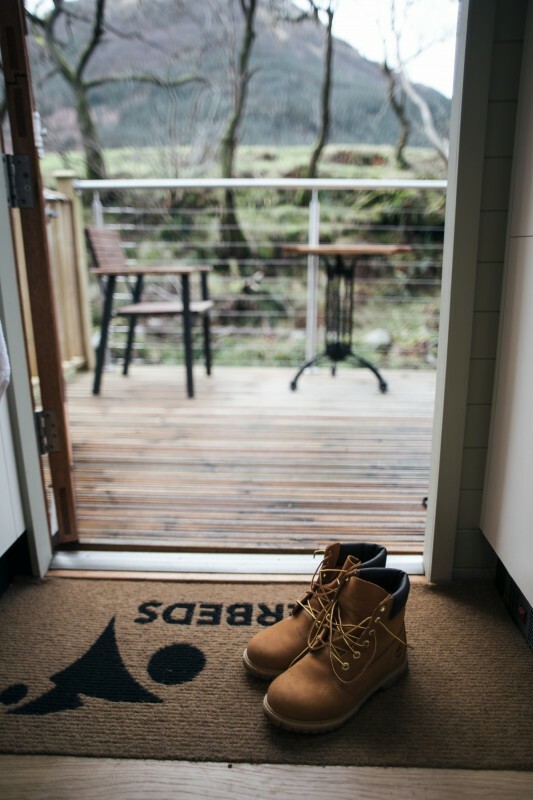 Inside your lodge, relax in the central heating warmth and enjoy the special views across a stunning golf course to the sea beyond. 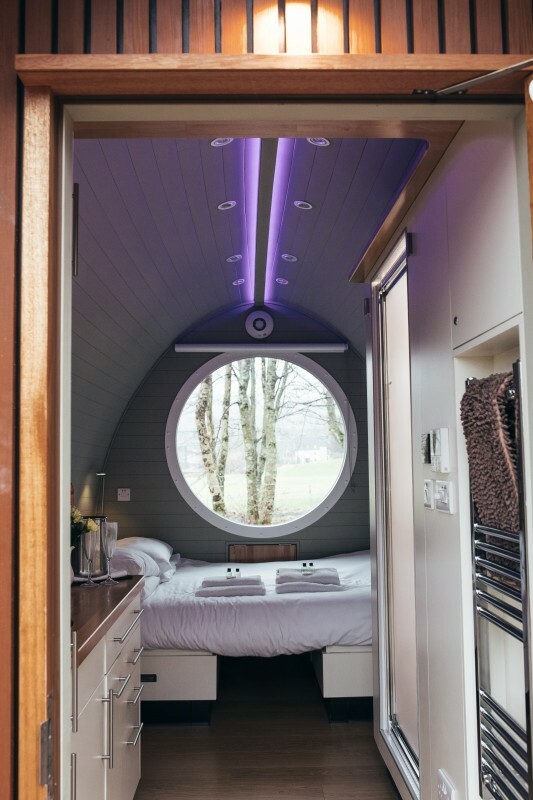 The luxurious ensuite accommodation boasts TV, music docking station, free wi-fi and even has a small kitchenette (with Costa coffee pods, of course!). 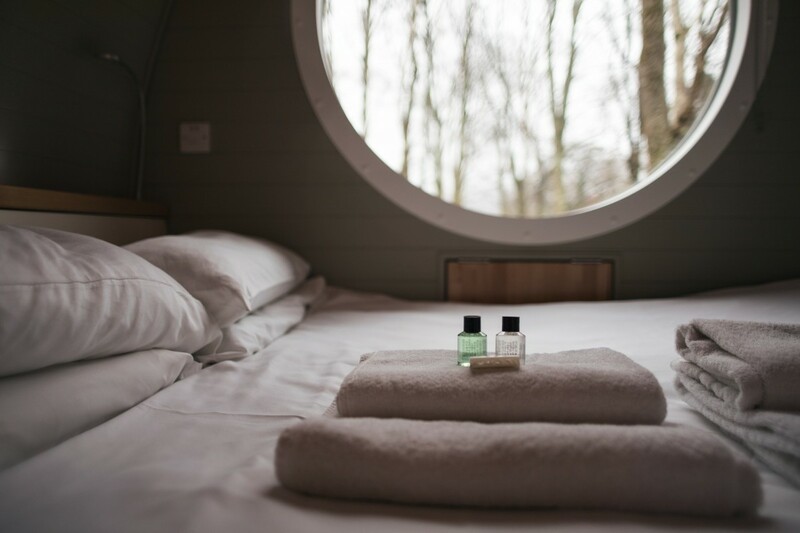 £30/night discount for stays 2+nights! 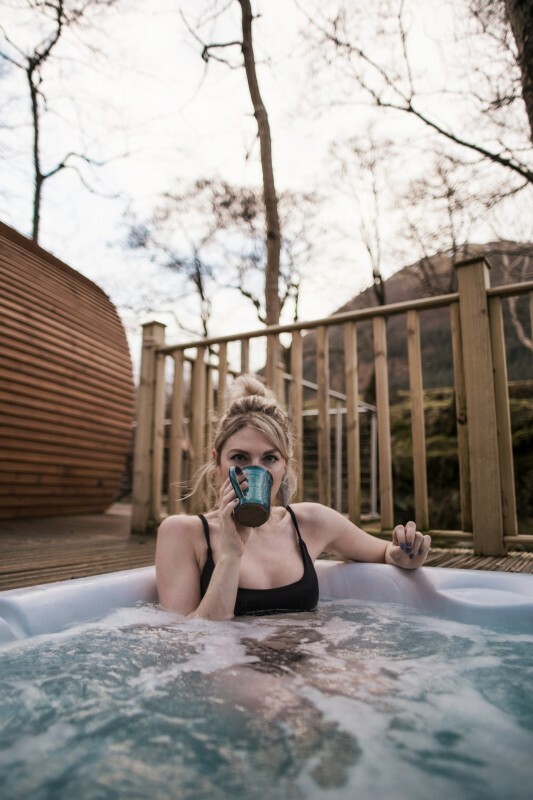 Stay two nights or more, and enjoy a £30 a night discount off the lodge price. 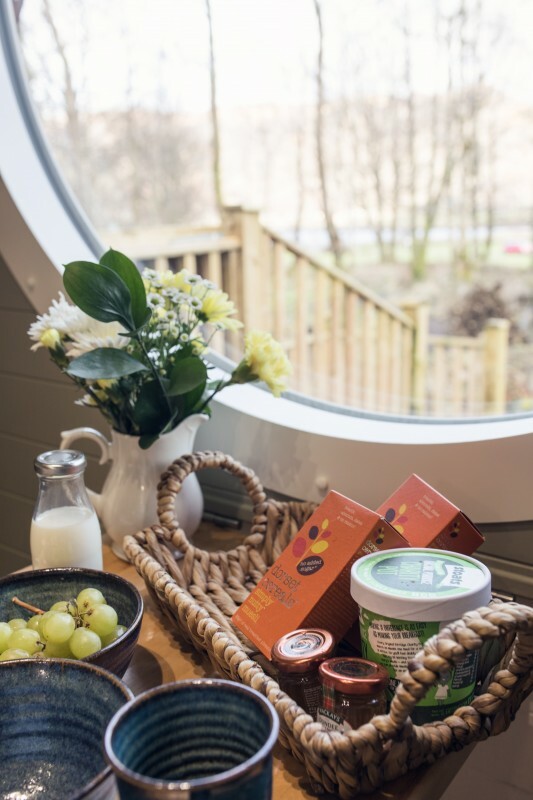 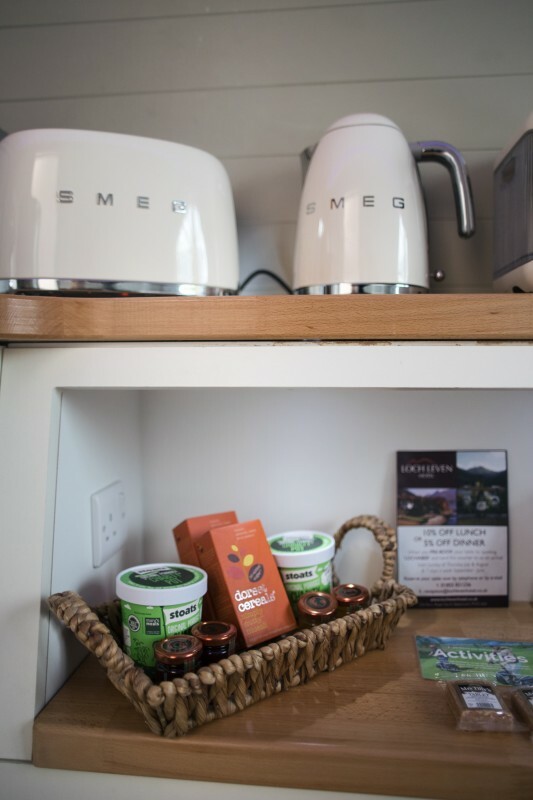 Your wee lodge has its own kitchenette - complete with pod coffee machine, toaster, microwave and fridge. 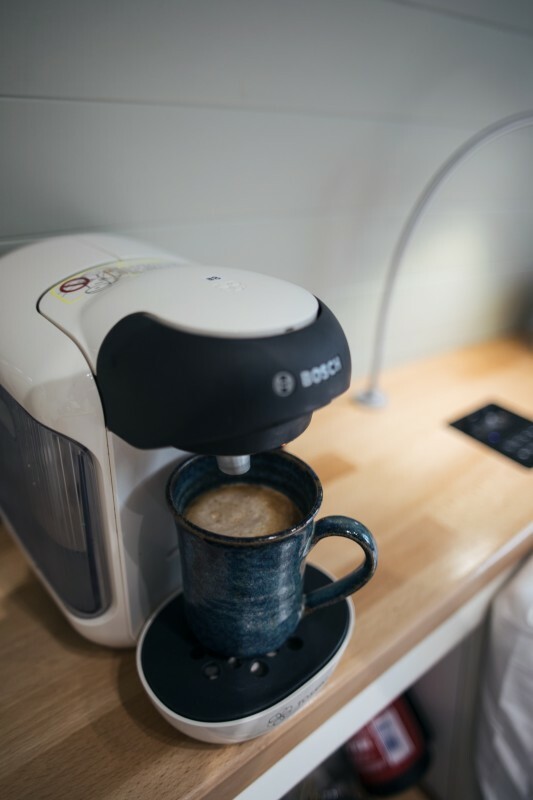 Wake up to warm croissants and a complimentary continental breakfast! 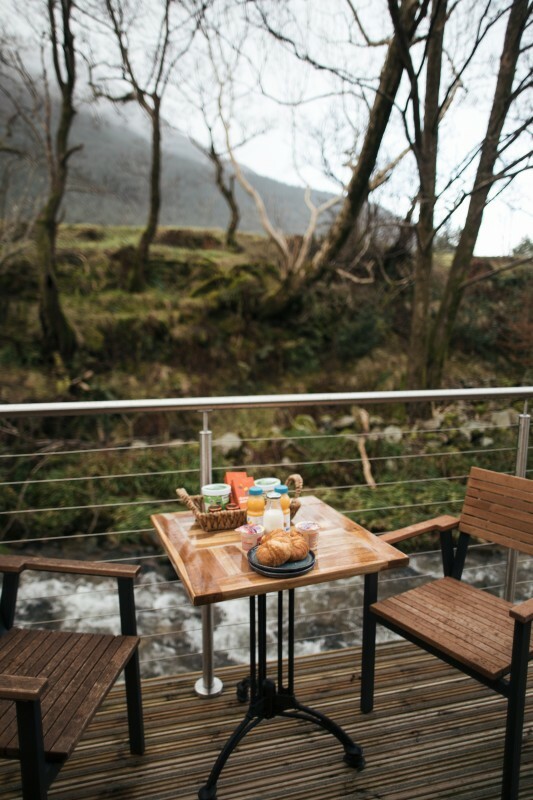 Perhaps enjoy it in bed, or sitting on your own private terrace, reaching out over the river!